Accidents can happen anytime. Even the most careful of people, are still susceptible to accidents, whether it be as a result of somebody else’s negligence or if you just lost control of your own vehicle. The survivors of the most horrifying of accidents find themselves in the most difficult situations. They are faced with many complications that will forever change their life. Paralysis, loss of limb, brain damage, and the list goes on. This robs the person not only of his or her health, but their future is shrouded in uncertainty. Among those uncertainties, are the questions of will I be able to work again and how will I pay for my rehabilitation expenses? 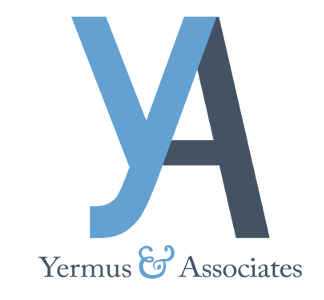 This is why contacting a Toronto Catastrophic Injury Lawyer at Yermus & Associates is a great step to ensure that your uncertainties are dealt with in a way so as to best ensure a bright future in your new circumstances. Attendant Care Benefits increase from a monthly maximum of $3,000.00 per month and a total maximum of $36,000.00 to a monthly maximum of $6,000.00 per month and a total maximum of $1,000,000.00. For a more detailed explanation of how your rights with respect to benefits available can change if you are found to be catastrophically impaired and what is required to meet the test for catastrophic impairment, immediately contact a Toronto Catastrophic Injury Lawyer at Yermus & Associates at 416-229-4878 (HURT). We have handled and successfully settled many cases involving catastrophic impairment. These impairments have resulted from a wide variety of causes and this has given us the experience to handle any type of case involving catastrophic impairment, regardless of the type of injury or injuries that have led to this significant level of impairment. Call us to speak with a Toronto Catastrophic Injury Lawyer who can assist you gain access to the benefits you need and who has the experience and capabilities to ensure you obtain catastrophic impairment designation. The initial consultation meeting for free. You can reach us by calling 416-229- 4878 (HURT) and we will help you get the money you need to help you cope with this tragic situation!